The biweekly time sheet Overtime Calculator Templates is designed in an excellent way for offering the general guidelines. It is not relied upon for financial data determination. 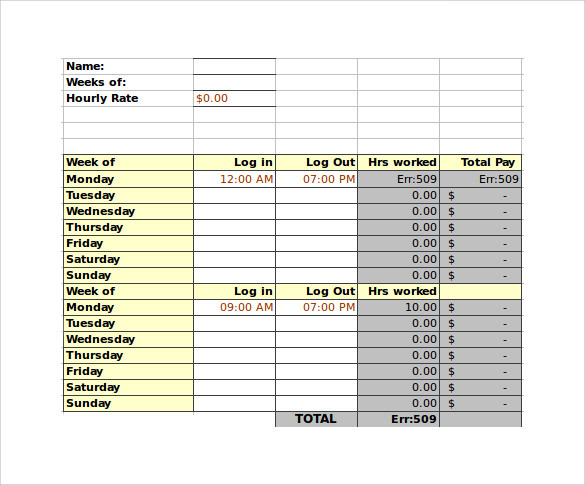 The biweekly Timesheet Calculators is one of the most preferred pay methods by lots of employers. They used for Less printing and post in cost, less processing fees and less work for the department of payroll. Most of the employees preferred to get paid weekly. With this time calculator they can learn how to budget the expenses in their day today life based on their Schedule of their pay check. 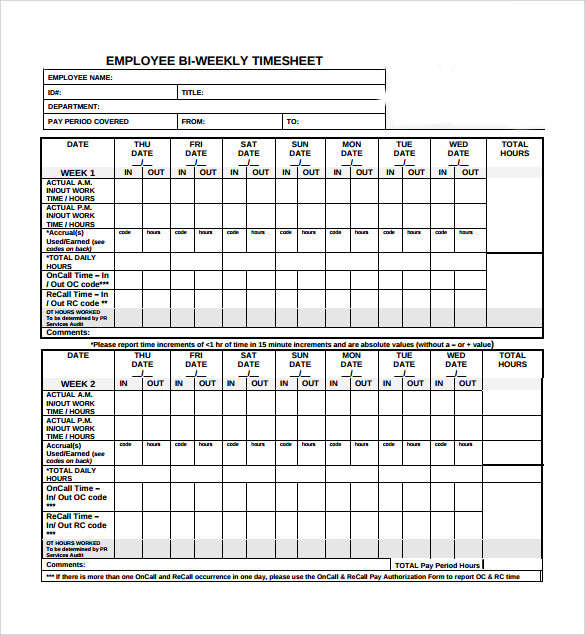 This is a very comprehensive and detailed time sheet template, showing the employees name, ID, entry and exit time of the employee and the hours worked, leave hours, daily total hours worked, weekly total hours worked and also biweekly total hours worked. 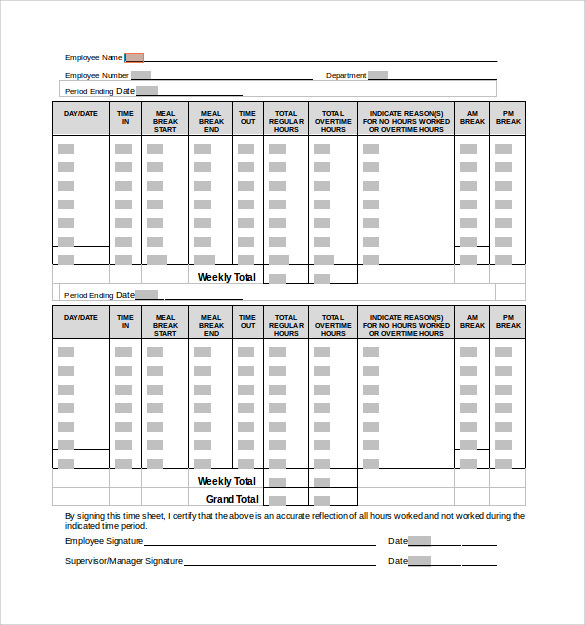 This biweekly Time Sheet calculator comes with instructions and descriptions for the better understanding of the users as well as entry and exit columns to record the time of entry and exit and also daily, weekly and biweekly total hours worked. This is yet another extensively detailed Time Sheet template which contains all possible information starting from name and number of the organization, name and ID of the employee, to the entry and exit timing, hours worked, leave hours, absence hours, etc. 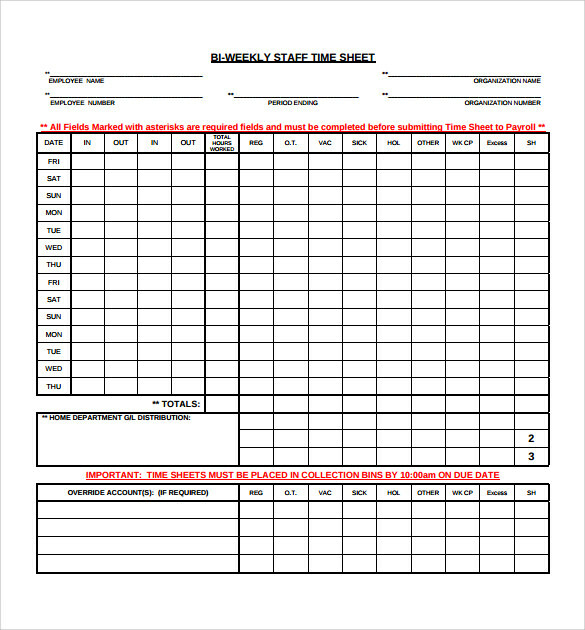 This is a very detailed and descriptive Time Sheet which comes in different types according to the needs of the firm depending on its type of employees such as Full Time Non Exempt, Full Time Exempt, Part Time Non Exempt, Student employees, etc. What is a Timesheet Calculator Template? A Time Sheet is a document for workers to record the time spent on each job. Biweekly Timesheet Calculators are documents maintained by the organization which makes it easier to keep track of the number of hours worked by the employees, regular as well as overtime, number of hours absence, leave hours etc. Such a detailed sheet is essential in obtaining work timing information which helps in making payments easily. Nowadays instead of papers, the entire thing has gone online. Originally created for the calculation of Payroll by the employer, it can also be used for a lot more, such as Management Accounting. What Are The Benefits of Timesheet Calculator Template? Tracking the timing of employees, that is the time taken by each employee on each job, is extremely important for running a profitable and efficient business. Tracking and knowing the amount of time each employee spends on their processes will help to analyze the quality and efficiency of the employee’s performance. The firm can then take suitable measures to help the employee improve his productivity. In addition to that, Timesheet Calculator Templates are also the key to long term planning and progress of the company as in the information can be processed and used for better estimating the profitability of future projects. How To Make a Timesheet Calculator Template? 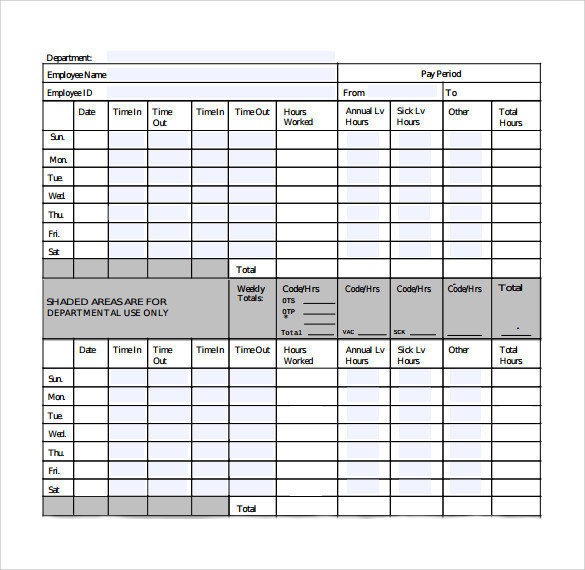 The key to making an efficient Time Sheet template lies in its format. The better the format, the better the Time Sheet and the more effective it’s functioning. 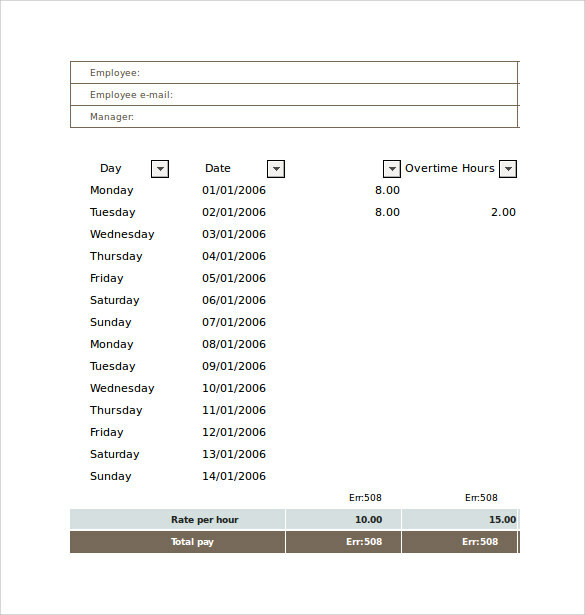 The basic format includes columns for the daily entry and exit of the employees so as to track the hours worked. Apart from that it also includes columns for the absence and the leaves taken by the employees so as to eliminate the unproductive hours. 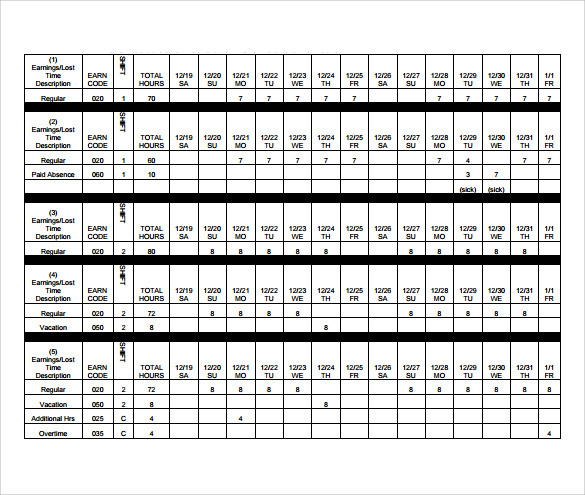 Then there are the total columns- Daily Total, Weekly Total, Biweekly Total, etc. It is on the basis of these that payments are made to the employees.